Now that our Fall season is wrapping up, it’s time to take a few deep breaths as we look back on all that happened over the last few months. 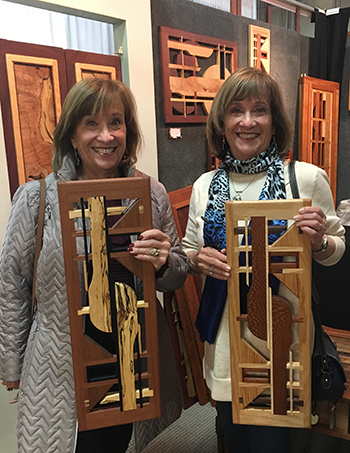 We’re overjoyed that so many art lovers around the mid-Atlantic came out to meet our artists and choose their artwork as gifts for friends and family. We’ve also enjoyed welcoming many new artists to the Sugarloaf family. More than anything though, we’re inspired by the comments you share with us after you’ve been to a show. We’d like to share some of our favorites from recent months. “Sugarloaf has been around for years. It is a delight each and every year. It is full of wonderful independent artists who are experts in their fields. I've seen the same artists return semi-annually as the festival moves from place to place and returns in the Spring and the Fall. I've also seen new artists with exciting and diverse goods each time. Can't say enough about the joy of seeing the creativity. There are potters, woodworkers, printers, painters, fabric artists and leather craftsmen. I love Christmas shopping at the Show. Can't recommend it enough!” Helena A.D. Sometimes it’s hard to remember to put down those digital devices. But a day or two at a Sugarloaf Crafts Festival fills you up with so many satisfying in-person experiences, it’s a balm for your spirit. For others, it’s a fun way to reconnect with friends and family. “This was our first year attending the event and we had a blast! They had furniture and items to enhance my home and they even had booths that interested all 3 of my daughters, ages 10-15. We love supporting small businesses so we're glad this was able to put us in contact with more.” Lisa M.
Our artists are never satisfied with cookie cutter creations so they’re constantly experimenting with new patterns, colors and techniques. The one-of-a-kind flavor of handcrafted art is something Sugarloaf shoppers really appreciate. With all the incredible handmade artwork, the on site demonstrations, live music and great food, Sugarloaf Craft Festivals are fun for every age. If you’re looking for a weekend activity the whole family will enjoy, you can’t go wrong with a visit to Sugarloaf. I really enjoyed myself!!!! I can't wait until they come back. We also can’t wait til they come back! Newer PostApply to Sugarloaf Fall 2018 Tour!